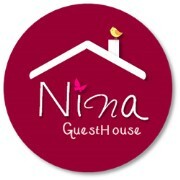 > Welcome to Nina Guest House, a lovely former railway house located in the middle of Veneto Region. The perfect place to visit Venice (30 mins distance), Verona (30 mins), Vicenza (10 mins), Padua (15 mins) and Treviso (50 mins) all at once, choosing every day a different city! The accomodation is very bright and elegant and counts 2 bright and elegant apartments with two/three stunning bedrooms, private bathrooms, indipendent kitchens and living rooms with fire lodges. The all inclusive price include wifi access, satellite flat-screen tvs, air conditioning, fully equipped kitchens with dishwashers, microwaves and dinner tables for 6/8 guests . Barbecue facilities are also avaiable and the property offers free parking. Your pets are welcomed to share the apartment with you!